Pomage is a sort of photo-text work, like the works that were created since the Conceptual art period and also previously. 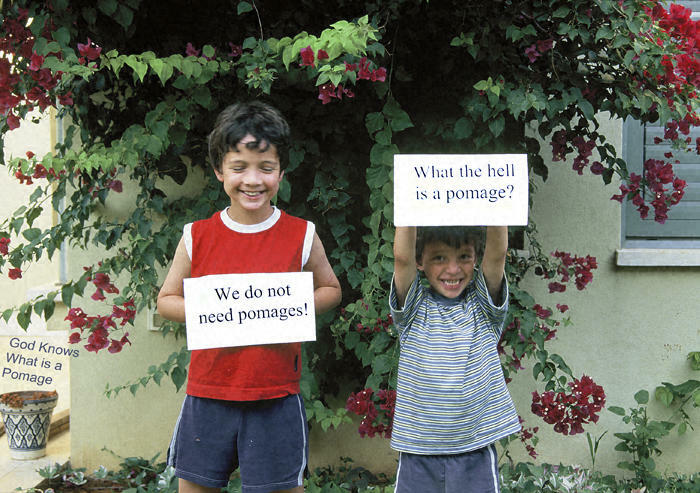 Pomage - poetic image - is an image combined with a poetic text, a text that has some poetic value. Pomage is a trademark of David Averbuch, Tzofit, Israel. Permission is hereby granted to everyone to use this concept.